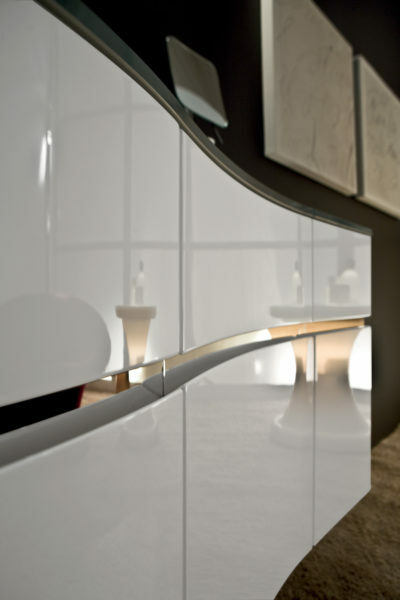 Elegant glamour atmosphere of 70s, thanks to the soft sinuous lines of the Sinua cabinet gloss white lacquered. This 140 cm long composition consists of three modular units (65 + 45 + 30) and is coupled to the top with integrated sink in extra clear crystal brushed silver. 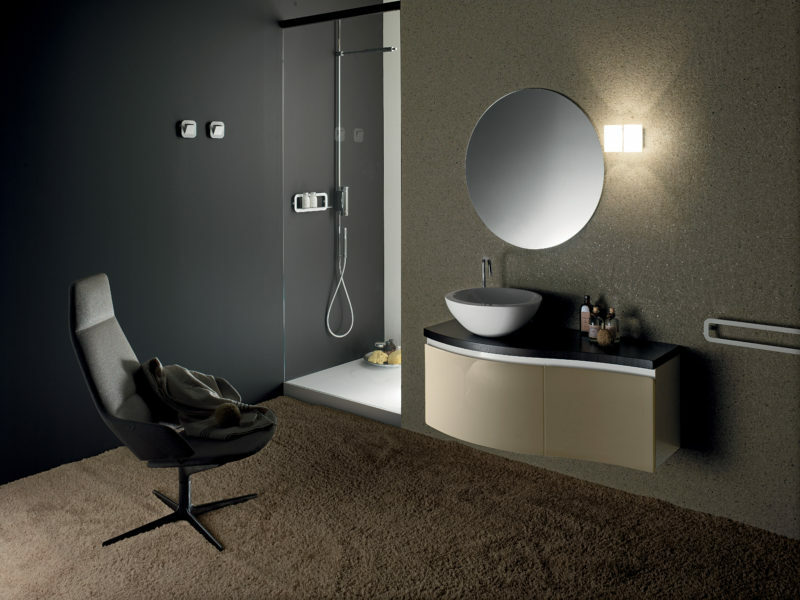 The front throat to use like handle is in polished stainless steel, and the rectangular mirror L 70 H 90 is equipped with a magnifying mirror. The MEX wall lamp complete the desired effect. 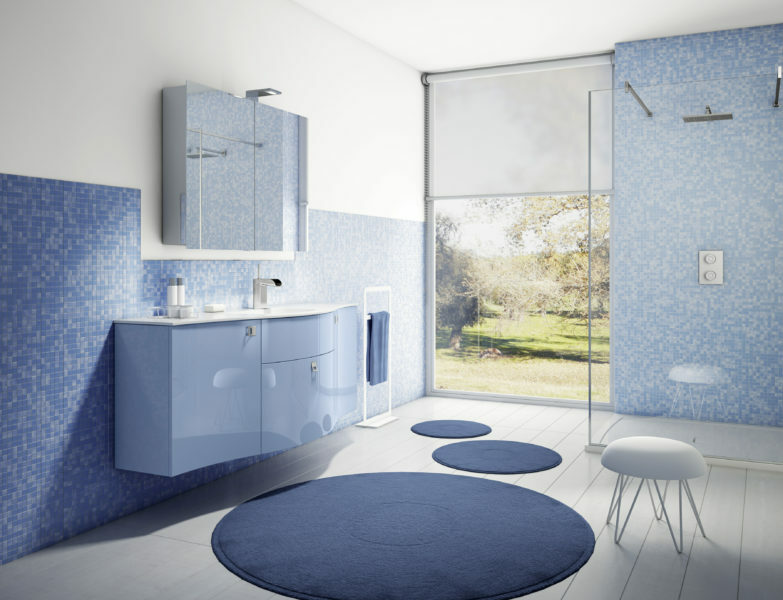 Bathroom cabinet Sinua L 65 cm with blue shiny lacquered fronts, and Blanco puro sink (mineral resin with gloss white gelcoat finish). 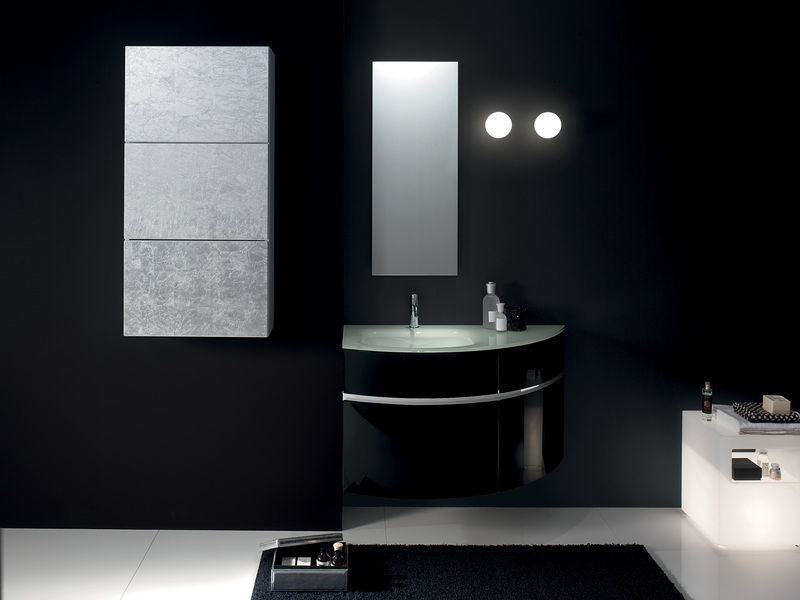 The wall shelves and the side towels holder belong to the collection of accessories Q Line. 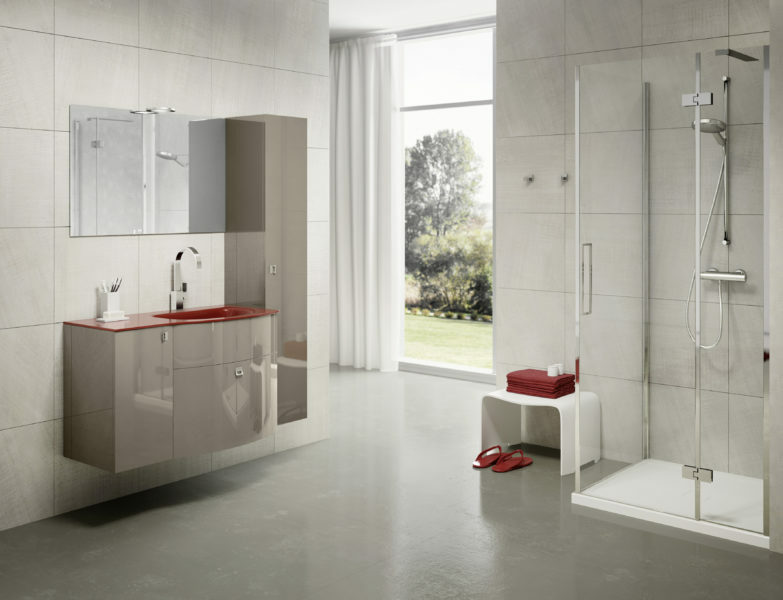 Environment with strong chromatic impact with the two sink bases ruby red colour. The front is divided from the throat in polished stainless steel. 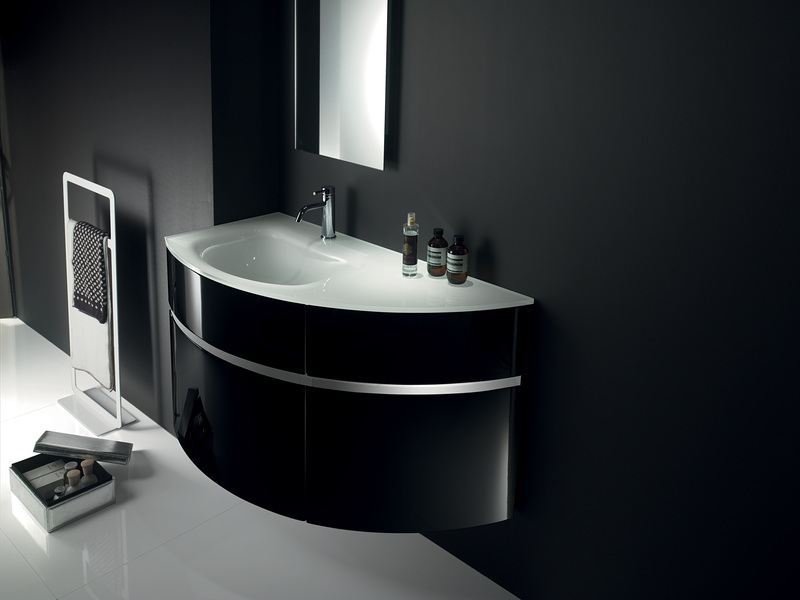 The top with double sink in black crystal, of course is available in many other colours. Side view of the composition with sink extra-clear crystal glass. The reflections on the glossy black front exalt the sinuous curves of the sink base. Perfectly integrated is the minimalist faucet ALFA SLIM. Elegant symmetry of the curvilinear form of the composition 145 cm long with curved forget crystal top with the basin in centered position. 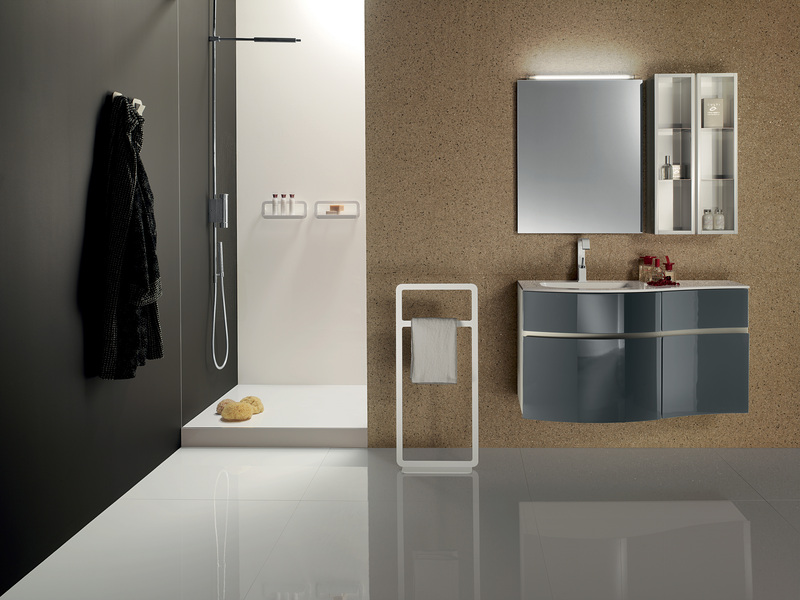 Front view of the modular furniture collection Sinua L 105 with sink right. 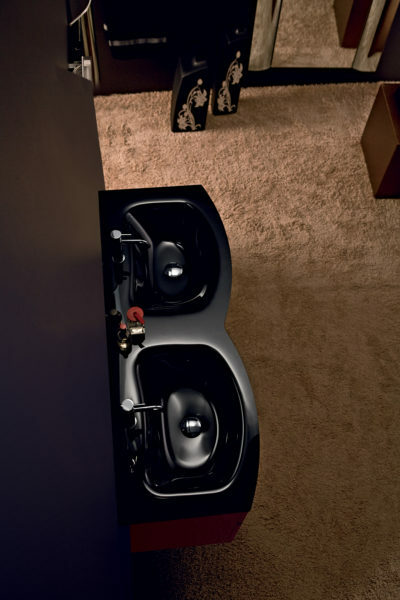 The reflections on the curved furniture walls exalt the mirroring of the dove-gray glossy lacquer. The crystal glass basin is of the same colour of the furniture. 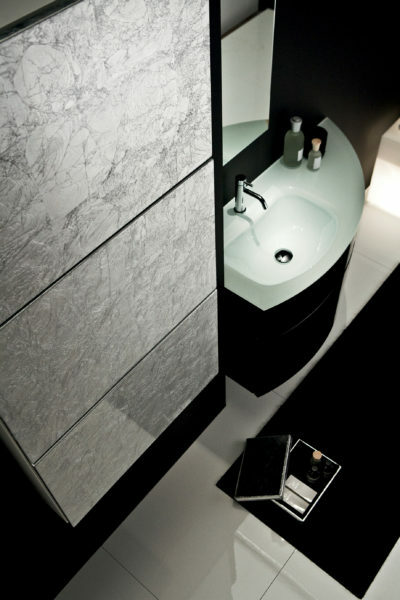 Elegant ambiance lacquered bath cream color, 150 cm long realized with three modular units. The sink is in Crystal dark brown. The lamp model LED ROUND mounted on the mirror is of circular shape. Functional is the storage shelf below the mirror. 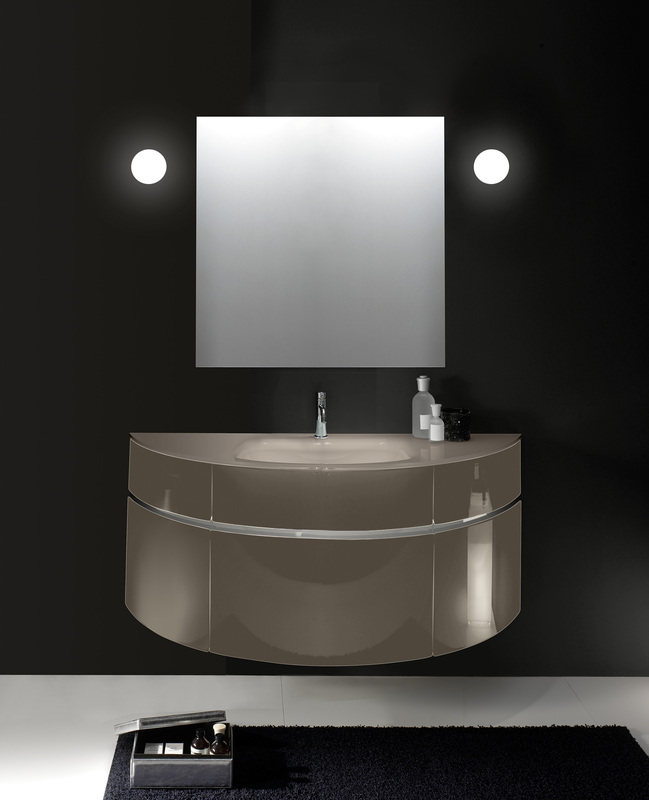 The curved sink base is approached to a square unit 30 cm long and to the column 160 cm high, 30cm wide . 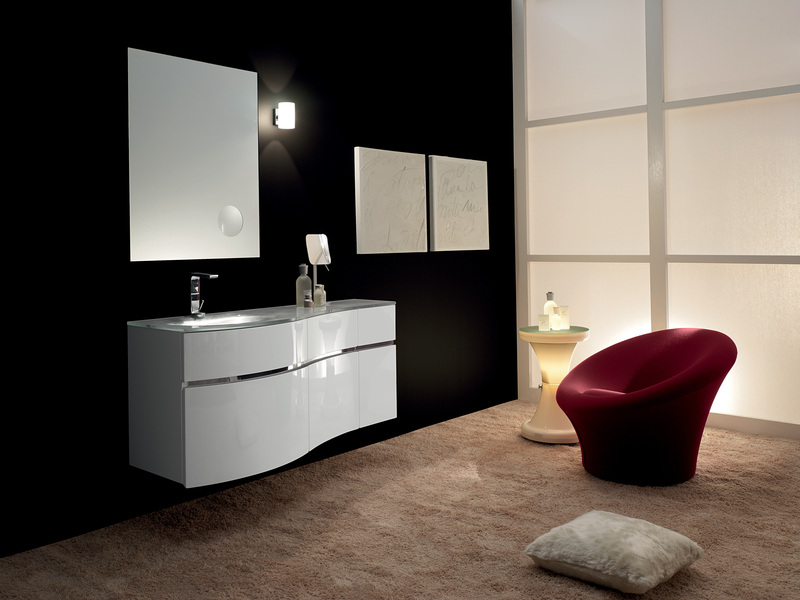 Characteristic is the colour contrast with the red garnet crystal glass sink. 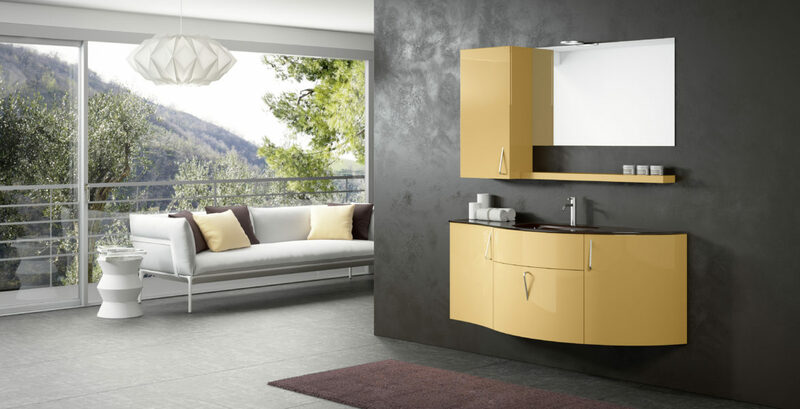 Bathroom cabinet 110 cm long with a large ceramic sink GRUS. Of course you can also have it with the sink on the opposite side. 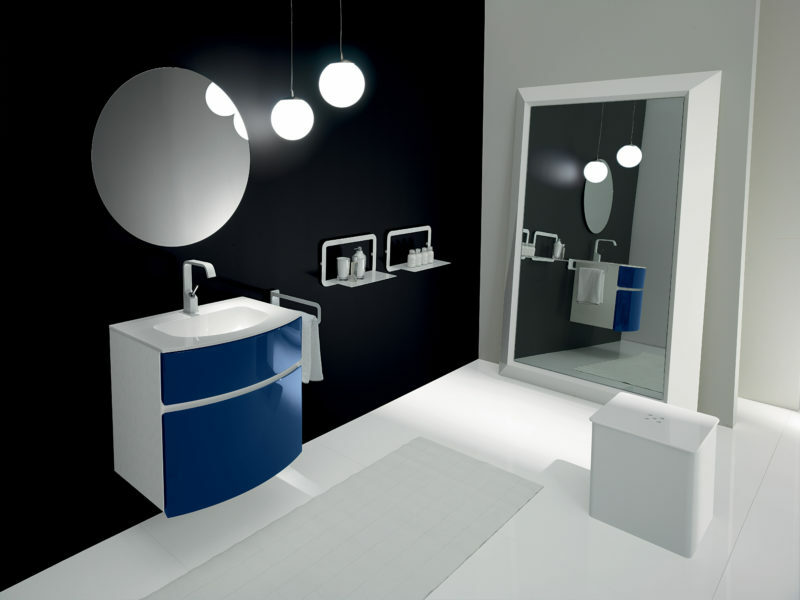 The white bathroom accessories are of the Q Line series.